Its been a long hiatus regarding this post. 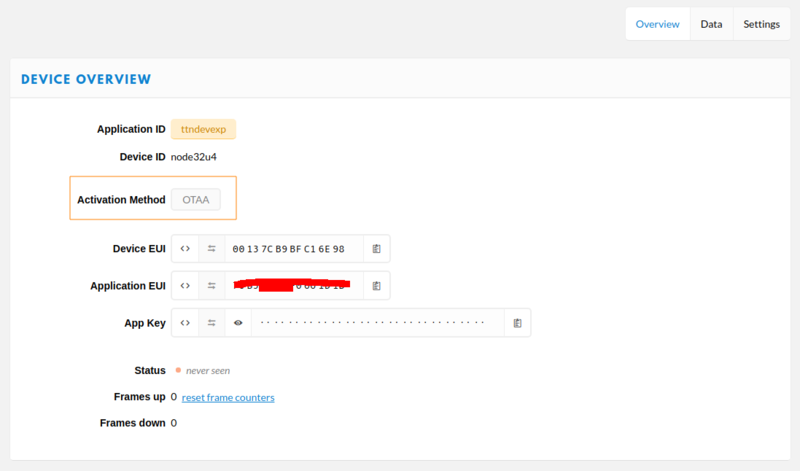 At the time I’ve bought a generic eBay/Aliexpress nRF52832 development board (the Taida Century NRF52832 based board) for performing some BLE testing, did some development with Nordic SDK and the NRF Arduino firmware using Platformio, but posted nothing on my blog regarding the tests. For programming the Taida Century NRF52 board need a programmer supporting the NRF52 chip, that can be either a SEGGER JLink programmer probe (highly recommended), or with a STLink V2 coupled with modified Openocd software, that also does work fine (Recent versions of Openocd already support the NRF52 out of the box). The Blackmagic probe is also an alternative, but since I have now a Jlink probe, never bother again with it. 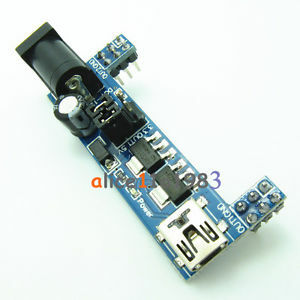 Since that the board does not have a serial to USB chip and a USB connection, an external TTL to USB serial convert must be used to see any serial output on the computer from the Serial.println commands. 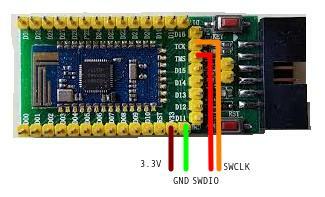 Furthermore the USB serial adapter must also must work with the 3.3V used by the NRF52. The 3.3v power can be provided either by the USB serial converter or by the debug probe (but not both at the same time!). 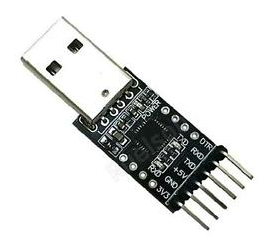 I normally use a 6 pin CP2102 USB serial adapters: they work with 3.3v and have all the serial pins exposed. 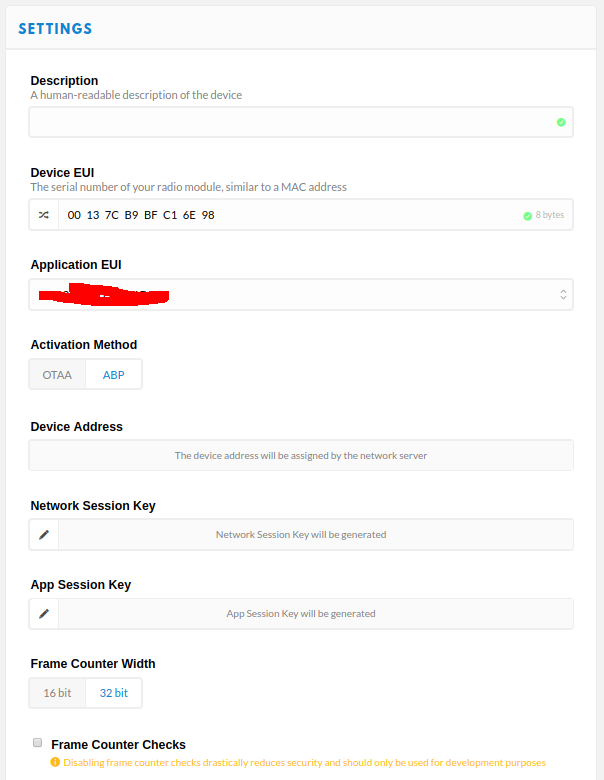 So the TXD labelled pin on the USB adapter connects to the Pin 18 labelled header on the board (RXD), and the RXD pin on the USB adapter, connects to Pin 19 on the pin header on the board. Ground connects to ground. That settles the serial connection for debugging. 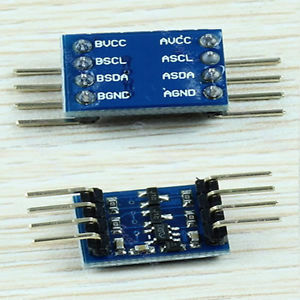 The ground pin should also be connected either on the header pin labelled GND on the top left when the IDC connector is on the left, or on the IDC connector itself. The connections for programming are a bit tricker depending if we are using an STLink programmer or a Segger Jlink programmer. In both cases the power can be provided by the programmer, but with the JLink one, a special connection is also needed so that the SWD debug lines voltage reference used is 3.3v instead of 5v. 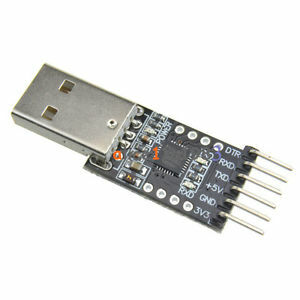 The USB programmer has a 3.3v output and so can power up the board directly to the 3.3v board pin. 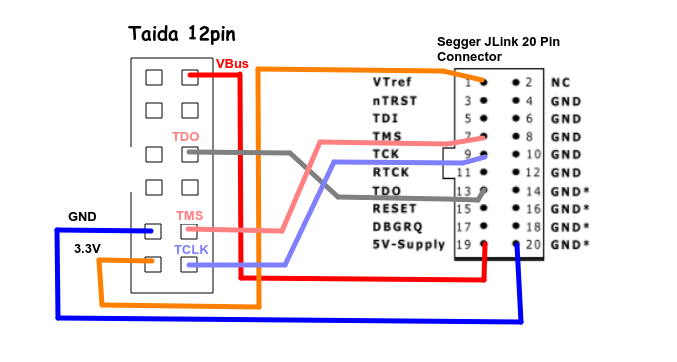 The Jlink probe can only provide 5V output on the JTAG pins, and so while the JTAG pins TCK and TMS can be connected to the TCK and TMS pins on the JTAG connector, the 5V pin must be connected to the VBUS pin on the IDC connector. 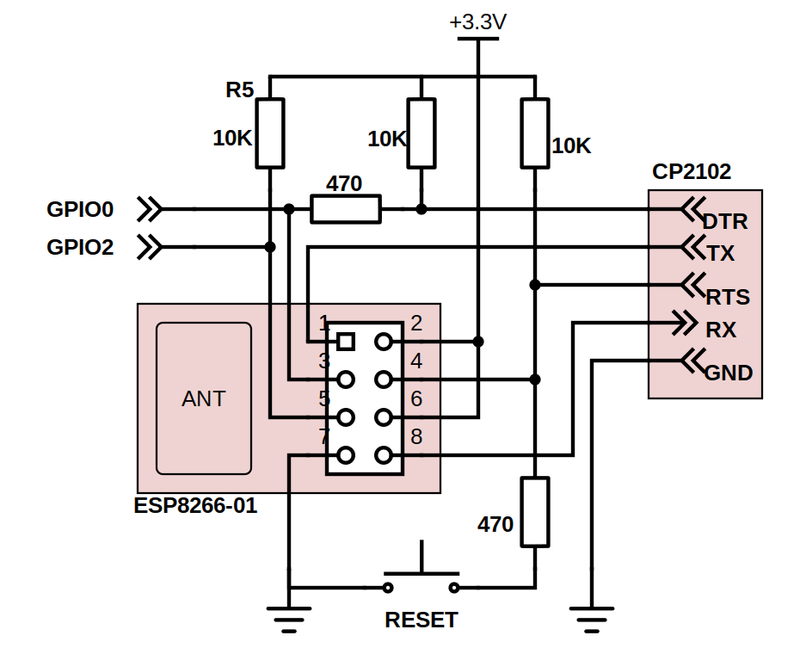 This pin will provide power to the board and the internal regulator drops it down from 5V to 3.3V. 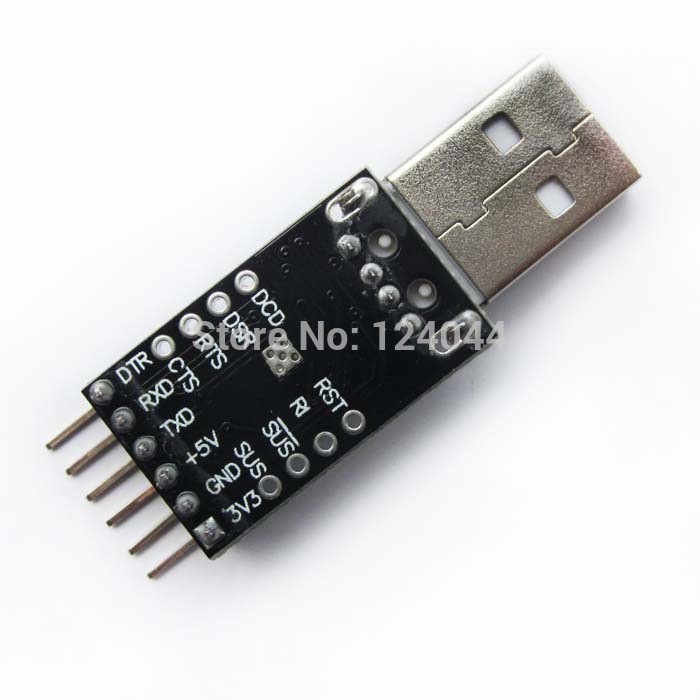 To adjust the logic levels from the probe to 3.3V the JTAG pin VREF must be connected to the IDC pin 3.3V pin, that informs the JLink probe the device target working voltage. So in total one more connection that with the ST-Link programmer. Found Cortex-M4 r0p1, Little endian. So the JLink probe works just fine. The above did work, because the JLink probe is programmed to provide 5V power with the power on perm command. To program the board, it is necessary to specify correctly the Nordic SoftDevice and for that, the platformio.ini file needs special configuration, namely on the build_flags and build_unflags. With this file, any example from the NRF Arduino Library compiles. I’ve bought, about a year ago, maybe more, some 433Mhz transmitter and receivers , so I could build a mailbox monitoring solution, loosely based on LOFI Project. The base idea was when someone put something in my mailbox I was notified. 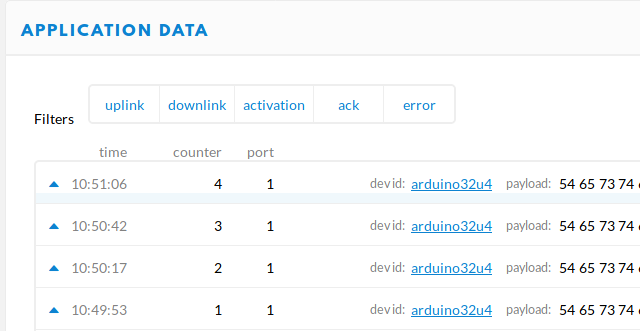 Anyway, the ESP8266 came along, and after some experiments, there is no way that the ESP8266 can be used for implementing the monitoring mailbox project I was thinking due to power consumption but mainly because the high distance across several floors and walls between the mailbox and my access point. So back to basics and to the original simpler idea of using plain 433Mhz link for transmitting data. All I can say about these is while the transmitter is ok and works fine across floors and walls (I can see the signal clearly using my SDR), the receiver is absolute garbage and useless for the intended purpose. The receiver is only able to receive in line of sight with the emitter when there are no obstacles, and even in this scenario with both emitter an receiver with attached antennas, the maximum distance between the emitter and the receiver is 4/5 meters at maximum. 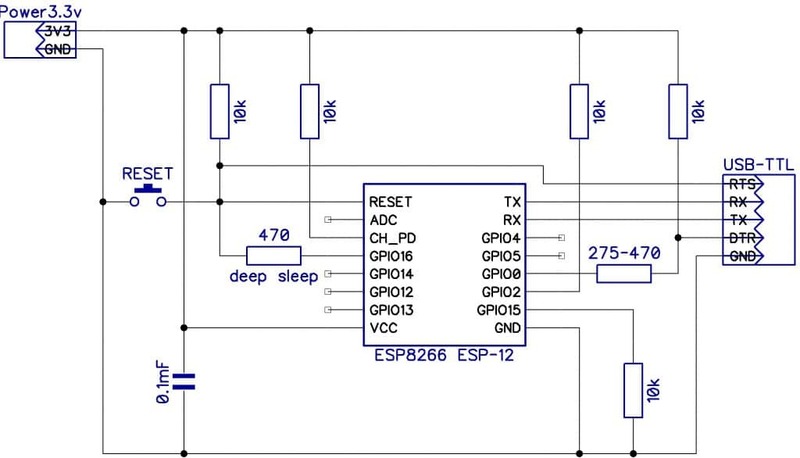 The solution is to use the much better and higher cost RXB8 receiver that has according to the datasheet -114dBm sensitivity, but it does work and is very good. The code for interfacing with this receiver is the same code that works with the cheaper receiver and is the Arduino Manchester encoding library. Using the RXB8 with an attached 433Mhz antenna (I’m using an antena with 5dBi and a SMA connector), the results are simply superior, with the end result that the signal/messages when the emitter is located several floors down and across several walls, are received correctly and are able to be decoded by the Arduino. Anyway, one of the interesting things on the LOFI project is/was the Hamming Error Correction implementation found here in the RobotRoom blog. So I’ve forked the original mchr3k Arduino Manchester encoding library and added the Hamming Code Error correction support: Arduino Manchester encoding library with Hamming EC support. The usage is quite simple, and can be seen on the examples Hamming_TX e Hamming_RX. where the input data buffer is provided by the data parameter with the buffer size also provided by the numBytes parameter. The output buffer ecout should at least be one third bigger than the original buffer since for every two input bytes an additional parity byte is added. For receiving the buffer with the data and parity data is decoded and corrected if any errors are detected. Errors are corrected if possible. The input data is the size and the buffer with the data and parity, namely the numBytes and ecin input buffer pointer, and the output is returned on the dataout buffer, with the decoded size also returned on the bytesOut parameter. Above these functions we can build some logical protocol for the received data, but that really depends on the way we want to use the library. If you need to buy a display to connect to Arduino (or other boards as the Raspberry PI) don’t waste your money on the Nokia 5110 display. While these Nokia displays are quite cheap, around 2.5€, they are monochrome, and suffer from an assembly issue (at least mine) that the display contacts to the supporting board become loose (it uses some kind of adhesive) and the display looses contrast. Pressing the display against the supporting board makes it ok, but only for a while. The only valid reason that I can see for using one of these displays, if you need one, is memory size available for your program, since driving it is quite easy. So, for a bit more money, and at less than 4€, we can buy these gorgeous 1.8 SPI TFT display. It is a world apart from the Nokia 5110 display. It has a higher resolution, it has color, it is bright, it is much better. Connect the VCC and BL (backlight) pin to your power source (in my case, 5V), and connect the GND to ground. Connect the RST pin to the RST Arduino Pin directly. The other data lines should be connected to Arduino through 1K resistors. We can drive the display by using any pin from Arduino, but to have the best performance we should use the hardware SPI pins 13 and 11. All these pins are connected in serial with an 1K resistor. After the connection it took a while to find out the correct library to use to drive my TFT version. The eBay description provided the QDTech driver and UTFT library which didn’t work. In fact the UTFT library was too big that I couldn’t even upload the code to my Arduino Uno without cutting out some of the sample code. In my case the correct library for my display was the Adafruit ST7735 library available here: https://github.com/adafruit/Adafruit-ST7735-Library But this doesn’t mean that it is the correct library for your display. It seems there are some different chips for this display like the above ST7735, the S6D02A1 and the QDTech. We need to test several of the libraries to get the right version.